Learn to draw an V2 PCB for myself, any comments are welcome! R3 & R4 should be bigger as they pass the feedback current. Input ground an decoulping one should be separated and then only join a common point. Input circuit is surrounded by output devices. I would prefer to keep it a bit apart. Last edited by bobodioulasso; 9th February 2012 at 07:01 PM. I'm rather new around here so my apologies in advance for a possibly daft question. 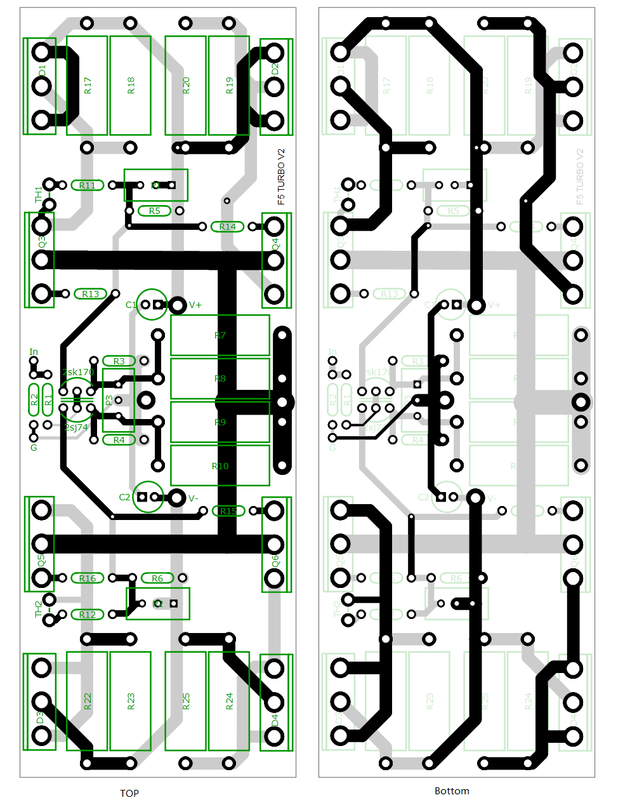 Which software did you use for this PCB design? Everybody else, please chip in - is there such a thing as strongly preferred/standard package? Free? It was made in collaboration with RS components. It was recentley advertised in Elektor magazine. Being Free you may give it a go certanly you got notthing to loose. Just gogle up Design spark. That is the only standard one need for professional output/ functionality. Last edited by Bksabath; 9th February 2012 at 09:58 PM. Comments and critisicsm always welcome. Board is 350mm x 50mm. Phoenix connectors for Input, Output and Power. Minimum track width 1.2mm (1.6mm on output devices). 1.6mm board woth 2oz copper. Can you translate mils to mm please. I wasn't planning on etching at home. I'll get some made with proper solder resist and silkscreen. Last edited by bobodioulasso; 11th February 2012 at 07:12 PM.